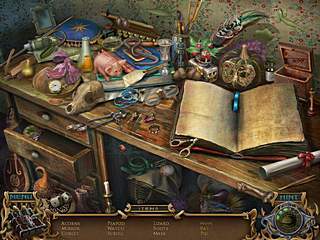 If you are up to some classic by now hidden object/adventure game, you are wellcome to play Spirits of Mystery: Amber Maiden. All the puzzles, hidden object and inventory searches are wrapped with a nice story full of druma. Even though it seems like you know it all storywise from the very beginning, it is actually not true. The game starts with a short inroduction into the story taking you way back when you were just born. You were lucky to be born into a royal family during a prosperous and peaceful time. But unfortunatelly, it didn't last too long for you. The evil queen comes and conquers the kingdom. Your parents are trapped by her spells, and you are rescued by your nanny. Now when you grew up, you are to rescue your parents as well as the whole kingdom. Receiving a few major instructions you set forth. Even though it seems like you know it all storywise from the very beginning, it is actually not true. You are going to accomplish different tasks in different locations and with the help of different characters. So there is more to the story then it seems at first. You are going to play through the old same kinds of tasks mixed together. So first of all, you will do lots of walking and looking around as you play. That will help you collect different items for your inventory. 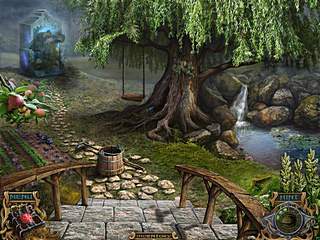 Then there are also a lot of hidden object scenes, where you follow the familiar path. You collect the items given on the list with or with out the hints that recharge over a while. 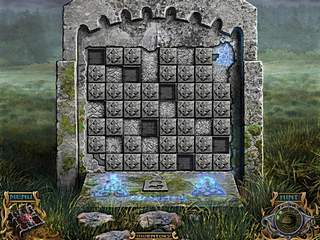 One more thing that you will be busy with here are the puzzles scattered all over the game. The challenge level of all the levels depends on the mode that you choose. All of that is covered by very beautiful and detailed graphics. Maybe a bit blurry, but very decent in general. The game is a perfect example of what the modern hidden object/adventure game looks like. This is Spirits of Mystery: Amber Maiden CE for Mac review. Download this game here.